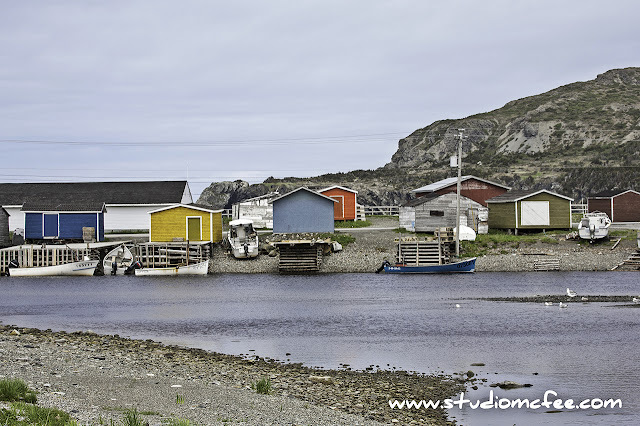 Out on the Gulf of St. Lawrence coast, near the southern edge of Gros Morne National Park, you will find the village of Trout River. Our first attempt to visit was aborted. To get to Trout River by land, you must drive to Woody Point and then head out through the Tablelands. We were halfway through the Tablelands when we ran into fog so thick we could barely see the road. 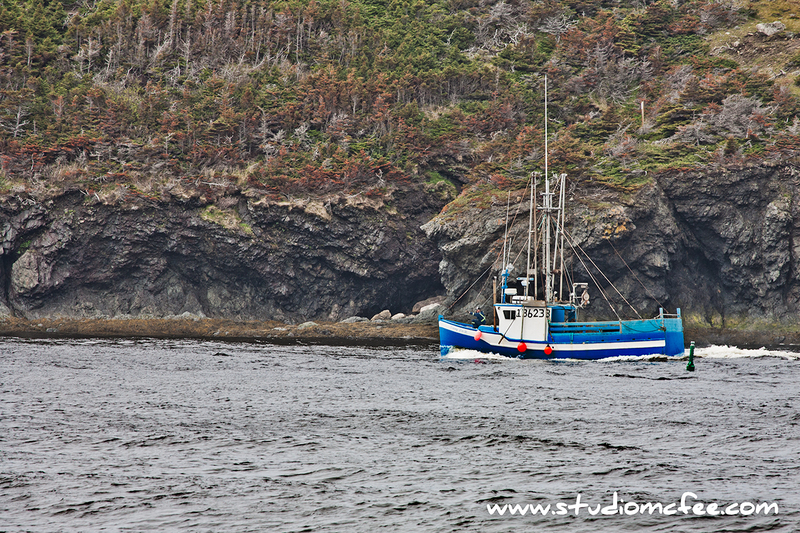 Newfoundland does inspire storytelling but the photo below should assure you no exaggeration is involved. 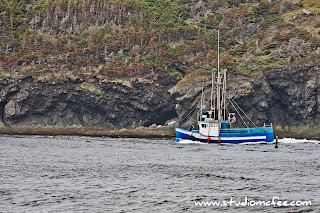 A hundred metres or so into this soup, we decided to return to Woody Point. The next day the fog had cleared. We drove to Trout River without problem. It's a splendid little town with a long beach and a sheltered harbour. 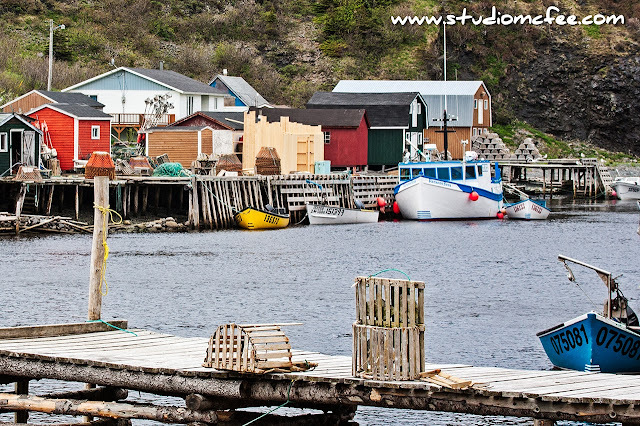 The harbour is pure Newfoundland: Lobster traps everywhere, fishing boats tied to docks, brightly painted buildings. The beach side of town also has some charm. Sunsets should be spectacular with an unimpeded view of the Gulf to the west. We didn't get a chance to dine at The Seaside Restaurant but it gets good reviews and is located right on the beach. No surprise there. 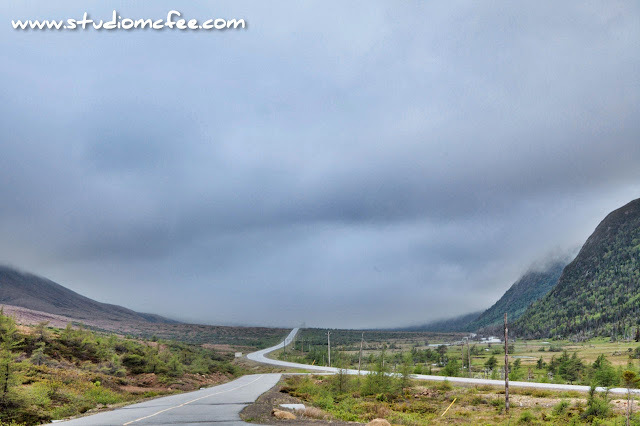 If you plan to visit Gros Morne National Park, be sure to make the journey to Trout River.